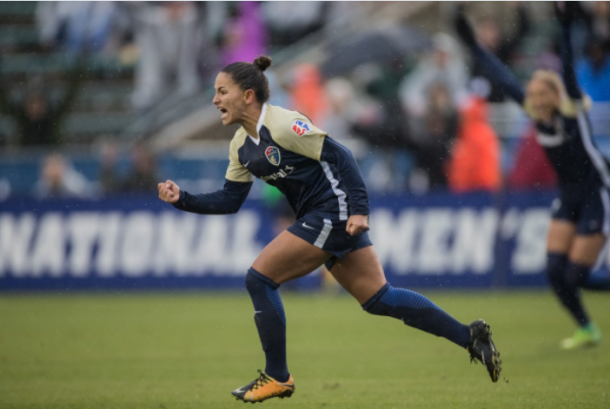 The North Carolina Courage will host Sky Blue FC for their first match of the 2018 season. Sky Blue FC was on bye for the first week of the season while the Courage triumphed in their opening match at home against the Portland Thorns FC. 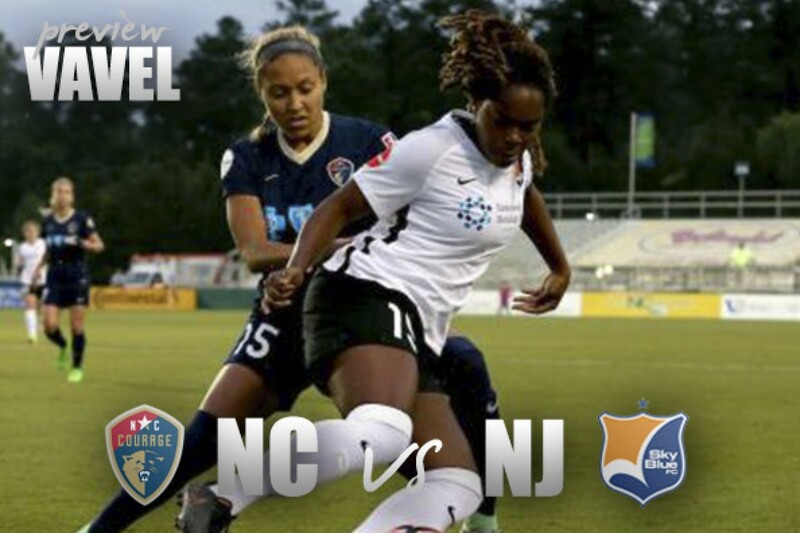 The North Carolina Courage will host Sky Blue FC at 3:00 pm on Saturday, March 31 at WakeMed Soccer Park in Cary, NC. Sky Blue will be playing their first match of the season after watching the other eight teams participate in the opening weekend of the season. SBFC had the first bye week of the 2018 National Women's Soccer League season. North Carolina beat the Portland Thorns FC 1-0 in their home opener last weekend on the LifeTime Game of the Week.The game was sealed by a 70th-minute goal by Brazilian international Debinha for the Courage. Sky Blue FC had a roller coaster 2018 season, but ultimately the defense let the team down in spite of their overwhelming offense. On the day of the 2018 NWSL College Draft, Sky Blue FC participated in a three-way trade that brought United States women's national team midfielder Carli Lloyd home to New Jersey from the Houston Dash. Sky Blue gave up Australian forward Sam Kerr to the Chicago Red Stars while Chicago traded the rights to USWNT forward Christen Press to the Houston. Sky Blue added many players from around the league during the offseason under new head coach Denise Reddy. Sky Blue FC played four preseason games, winning three and losing one. All four of the matches were against collegiate teams. Sky Blue will be trying out their new personnel for the first time in a regular season game on Saturday. The goal of the first match of the season in a hostile away environment will be a good growing and bonding experience for the team. Any result on the road would be a good ending to this game for Sky Blue FC. The Courage opened the season at home in a rematch of the 2017 NWSL championship game. North Carolina dominated in every phase of the game in their 1-0 victory over the Thorns in their home opener. The home team took 20 shots to just three for the Thorns and could have had a few more goals if the ball had bounced a little differently. The goal of the second match of the season will be to polish some of the offensive blunders that occurred in the first match to secure a more decisive victory. The defense played well, earning their first clean sheet of the season, but scoring just one goal on 20 shots isn't going to cut it as the season progresses. The Courage are one of the healthiest teams in the league currently. While USWNT midfielder Sam Mewis is out for another week or two, the rest of the team is mostly healthy and ready for game action. The weather in the previous game was playing against organized offense, so it will be important for the Courage to be more efficient on attack in this match. North Carolina has a definite advantage over Sky Blue with one regular season game under their belt already. Anything less than three points in this match would be a disappointment. Sky Blue FC and the North Carolina Courage faced off three times in 2017 with the teams evenly splitting the matches; one win, one loss and one draw each. Sky Blue was the only team that played the Courage to a draw in their inaugural season. The games had a rivalry feel throughout the season, so hopefully that intensity will hold through the upcoming match. Realistically, with the addition of Crystal Dunn for the Courage, the loss of Sam Kerr for Sky Blue and the fact that the Courage have an extra match under their belts, it would be a shock for the Courage to not earn three points on Saturday. A team full of new players with a new head coach on the road facing off against one of the least changed teams in the league doesn't bode well for the visitors, but anything can happen on game day. My prediction for the match would be a 2-0 Courage victory, with North Carolina earning their second win and second clean sheet in two matches. Both teams will be off the following weekend while the USWNT faces off in two matches against the Mexican women's national team. You can catch the game on the go90 app or go90.com at 3:30 pm.